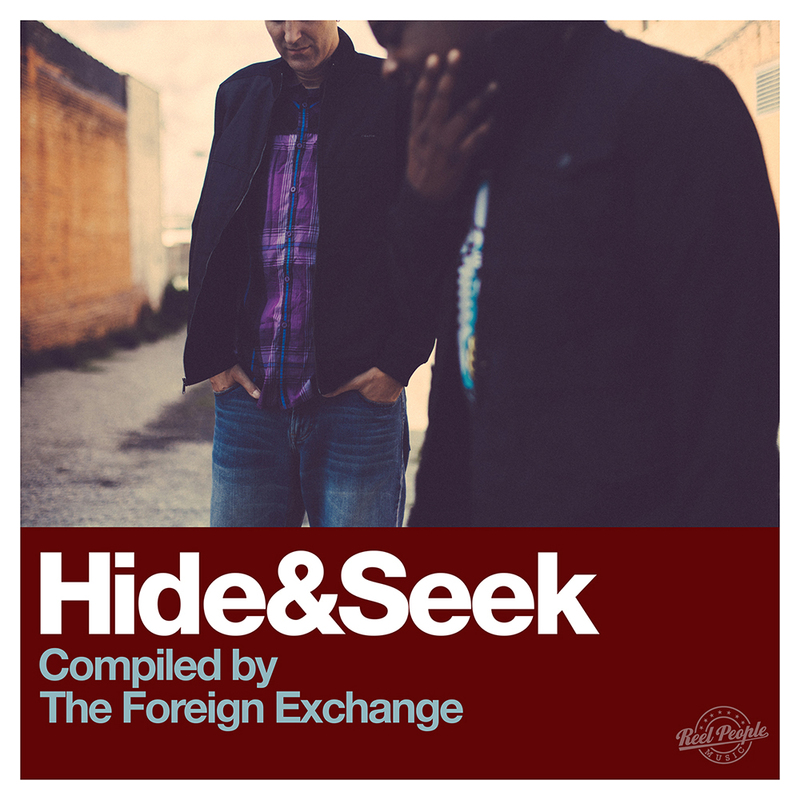 REEL PEOPLE MUSIC are excited to present our new compilation series HIDE&SEEK. HIDE&SEEK's aim is to deliver a platform for our favourite artists and producers to showcase some of the incredible emerging talent and unsung heroes in the underground movement. 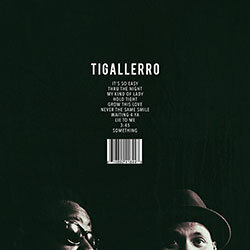 As our first compilers we are delighted to welcome PHONTE COLEMAN and NICOLAY ROOK aka THE FOREIGN EXCHANGE. 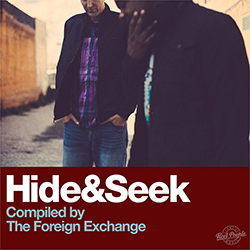 REEL PEOPLE MUSIC's label boss OLI LAZARUS has been a massive fan of THE FOREIGN EXCHANGE for many years so it was a complete honour for him that the guys agreed to take up the mantle of compiling the first HIDE&SEEK. Having taken up the challenge the guys have delivered a 5 star album which flows perfectly from head to toe and delivers some of the finest head nodding, goose bumping, soul-filled music you will have heard for some time. 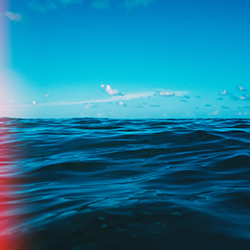 HIDE&SEEK has 2 exclusives cuts from THE FOREIGN EXCHANGE including the sultry new single 'SHELTER' and the heavy unreleased remix of 'ASKING FOR A FRIEND' by STRO ELLIOT. The album features the freshest talent including Atlanta-bred singer/songwriter BOSCO and her dope jam 'MPH'. BOSCO is a musical force of nature and her sound combines the rawest, headiest elements of R&B, dance and beyond. Next up we discover 'CLOSE TO YOU' from the magical world of NAPOLEON WRIGHT II & JARED WOFFORD aka ART NAP. Following on is the first of 3 deep & soulful House jams on HIDE&SEEK. One man that never disappoints is Detroit's PIRAHNAHEAD and his long time collaborator DIVINITI. The guys produce something very special with 'THE BEAUTY OF LIFE', delivered with joy by Dallas songstress CARMEN RODGERS. GWEN BUNN is a musical triple threat from Georgia. The singer, songwriter, producer became an industry phenomenon when she produced the single 'COLLARD GREENS' by SCHOOL BOY Q featuring KENDRICK LAMAR, which earned her her first GRAMMY nomination as a producer. GB's significant contribution to HIDE&SEEK is the ever so funky 'WITHOUT A DOUBT'. Hailing from Washington DC, we are delighted to present the mysteries and wonders of MUHSINAH. Having collaborated with COMMON, JAZZY JEFF and of course THE FOREIGN EXCHANGE, MUHSINAH enlightens our space with 'SOMEBODY IN MY WORLD'. Next up is the exciting sound of US based trumpet player and composer, LERON THOMAS featuring the stand out vocals of BILAL on 'ROLE PLAY'. BILAL needs no intro as one of the fore fathers of the Neo-Soul / Jazz movement. LERON THOMAS is one of today's most coverted musicians having consistently worked and toured with the likes of ROBERT GLASPER, LAURYN HILL and MOS DEF. STEVIE WONDER and everyone's favourite DJ, DJ SPINNA is up next with the exclusive song 'TONIGHT WE RIDE' featuring the Soul laced vocals of our very own PHONTE. This one for sure is the HIDE&SEEK sing-a-long jam. TAMISHA WADEN is a member of THE FOREIGN EXCHANGE touring band but here we see her shine as a solo artist with the stunning ANITA BAKER esque 'GOOD FOR ME'. THE DIVIDENDS is an American musical duo that consists of GRAMMY winning producer S1 and singer/songwriter SARAH JAFFE. The guys drop the hot single 'SUMMER GLO' featuring Dallas based rapper/singer SAM LAO. Last but by no means least is the super fly DAVID HARNESS remix of 'JUST WHATCHA LIKE' by ZO! feat. JOI. Already championed by some of the biggest DJ's, this joint is pure fire!! 12. Just Watcha Like (feat. Joi) [David Harness Vocal Mix] - Zo! 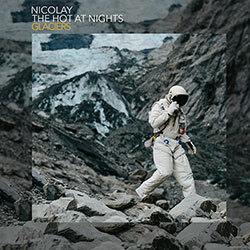 Gwen Bunn, Muhsinah, Nicolay, Phonte, Reel People, The Foreign Exchange, Zo! 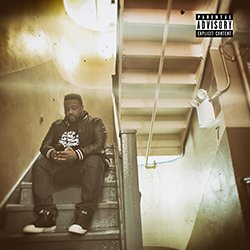 \nAs our first compilers we are delighted to welcome PHONTE COLEMAN and NICOLAY ROOK aka THE FOREIGN EXCHANGE.